You’re passionate. You want to make things happen, but you have too many ideas. If so, you’ve got a case of idea overwhelm and as you keep reading, you’ll discover how this is a simple trick your brain plays on you to keep you stuck and in your comfort zone. It feels like your head is about to explode. There’s despair, screaming, and crying going on inside your head, all at once. 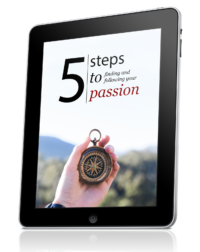 You read posts – maybe even my posts – about how you should be taking action; how you should find your passion and just start, but you aren’t sure about how. How are you supposed to figure out what you want to do when you have so many ideas and interests? I want to make a difference, be happy, and fulfilled. And you do, too, right? So before you dive off the deep-end, keep in mind that what you believe may not be what is truly real. It’s easy to feel that you’re not good enough or that you’re a horrible writer or even that you don’t have anything to contribute to the world. Those are merely YOUR beliefs. They are not absolute truths. They are simply things you believe to be true. Once you realize that, you also realize that you have the power to change your beliefs. This is a topic I need to write more about in the future, but for now, let’s stick to killing the idea overwhelm myth, shall we? A lot of people that I talk to say they have an avalanche of ideas, but when I start probing deeper, I realize that most of those ideas are not ideas, they are dreams that would be nice things to have, or have done. I have come across this several times myself; it’s when I get caught up in something and start working so hard it almost kills me. I’m obsessive, but these kind of ideas and dreams make me a bonafide workaholic. I start reading everything I can about becoming a stock market master, just because it would be nice to have a lot of money. It would be nice to be able to do that, because the image I have in my mind of being someone who trades stocks is nice. But usually that figment of my imagination is a far cry from reality. Many of the ideas you have will be similar; they will be things you would like to have done. Many people say they want to write a book, but what they really mean is they want to have WRITTEN a book already so they can reap the rewards. When you get real with yourself, you realize that the amount of ideas you have really isn’t that overwhelming. These are the ideas you want to focus on. They aren’t some wishy washy crap that would be nice to have. You don’t want them because of something society has told you, or something that you believe that isn’t real. The ideas that really matter are the ones where you will enjoy both the process and the goal, because let’s face it, you will be spending most of your time walking and immersing yourself in the process. If you don’t like writing – and don’t want to learn how to write – chances are you won’t want to create a text-based website. All is not lost however. You can always create something else, such as a podcast, or a video blog. But nothing happens until you realize what is going on inside your mind. If you just think that you have a lot of ideas and leave it at that, you will never get anywhere. Or even worse, you’ll fall for many of the get rich quick schemes because you don’t know what you really want, so you start chasing money. And chasing money isn’t going to make anyone happy, except the bankers. I don’t know where that came from, but it sounded fitting in my brain, so I’ll let it stay. You will find no revolutionary formula here for finding your best idea. The execution – or taking action – is almost always more important than how you do something. The following tips are very simple, and that is what makes them so effective, but you do still have to sit down and observe how you function and what your beliefs are. If not, you won’t be the one in the driver’s seat. 1. Accept. First, you have to accept that you have beliefs that are messing you up. You have to accept that most of your ideas are not really what you want; they are merely things that you think you want. 2. Introspection. When you’ve done this, it’s time to take a good look at what ideas you have. Write down everything you can come up with, preferably old-school style with pen and paper. 3. Observe. Look at what you’ve written down. Cross out the ideas and aspirations that don’t appeal to you at all. They sounded good in your head, but out on paper they don’t fit with who you are anymore. 4. Play. Play the rest of your ideas like a movie in your head. This will show you what the path to the goal is. If you want to write a book, the path would be hours and hours of honing your writing and editing and writing some more. Remember, the process is where you’ll spend most of your time. 5. Move. Now take action. We’re not here to think in theory. I hate theory for its sometimes amazingly impractical nature, so do something with what you’ve just learned. Life is not about reaching and achieving goals, even though it’s fun when you do, it’s about the middle stuff that no one talks about. It’s about the plateaus, the walls, and … the process. Getting to where it is you even think you want to be is the biggest hurdle and if you can overcome that, you can start living the life you have always wanted to live. Really. Wonderful article Henri and perfectly timed for the ‘resolutions’ sometimes get muddled up with the ideas 😀 You have given me a good start to re=evaluate my ideas and dreams, and then the focus!! Thanks! Happy New Year! Truer words where rarely spoken. Great post as always Henri, and happy new year! It took me a long time to understand the idea of balance in life. I was a workaholic but had no joy because every other area of my life was out of balance. You know, the stop and smell the roses part, the family part, health, etc. It’s easy to get caught in that trap. One of the pitfalls in our dream journeys is that it is far too easy to get caught up in the dreaming or conceptualization process, where it’s all about toying with potential ideas, with nothing much being done on the practical side. Thomas Edison said that “Genius is 1 percent inspiration and 99 percent perspiration.” The first part, which many can easily do, is the inspiration part. But what sets those who are successful apart is their relentlessness and determination in getting moving and getting practical to turn their ideas into reality. This article really struck a chord with me because this is exactly the way I feel at this moment. After you get into this, pretty soon you feel like you’re drowning in ideas, goals and information. I see potential in everything wich makes it harder to choose. The comfort zone will then try to pull you back in because doing what you know seems easier. On the other hand, I know this is it. Building little empires can’t be that hard and I know I will love managing it. Plus you, among other pioneers, are helping me.. I don’t believe in todays society with diplomas and 9to5 but I do believe in developing myself and helping others. Plus I already have put serious change in place in my life when it comes to handling finances en minimalising life. I already know I can make things happen, it’s just that time is ticking away faster than ever. Thanks for this article. Because of the perfect timing it felt as if it was written for me personally! You’ve nailed exactly the way I feel, I have all these ‘ideas’, but I rarely act upon them and I think I’ve been stuck in ‘idea overwhelm’ for nearly a year. It’s taken me a while to awaken to this fact and now I’m starting to take action. You’re right in that Idea Overwhelm is in fact a ‘trick your brain plays on you to keep you stuck and in your comfort zone’. Of course, going out of your comfort zone is hard, but the five steps you outline have definitely helped me as I have put them into practice and written about them too. In particular, I like step 4 of playing a movie in your head about the idea. It’s all well and good liking the end result of an idea, but if you actually imagine, in your head, the journey and all the steps required to achieve your idea, that can help you understand whether it’s something you really want to do, or just something you like the idea of.